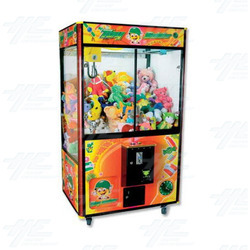 The Toy Soldier Jumbo Crane Machine is a prize redemption game which is popular in amusement centers and arcades. These cranes are also great for birthday parties or play just for fun! With it's large cabinet and bright artwork, this crane machine will draw in players from all across the floor as they try to capture the prizes trapped within!